Alhaji Aliko Dangote, will tomorrow take over as the President of the Nigerian Stock Exchange (NSE), following the ruling of the Court of Appeal in Lagos last Friday upholding his three appeals against cases that led to the nullification of his election as president of the exchange. 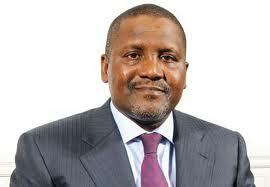 Dangote was elected the 17th president of the NSE in August 2009. Announcing Dangote’s election, the then Director-General of the NSE, Prof. Ndi Okereke-Onyiuke, had said he was elected based on a unanimous acclamation by the council members immediately after the conclusion of its 48th annual general meeting. However, Dangote’s election was nullified by the Federal High Court in Lagos in March 2010 following the application made to the court by some shareholders of African Petroleum Plc (now Forte Oil Plc), who had sued him, Nova Finance and Securities Limited, NSE and others, over alleged manipulation of AP shares. 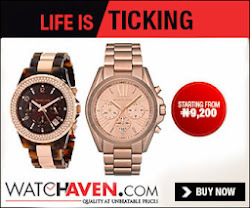 But Dangote challenged the suit and filed appeals which were upheld by the Appeal Court presided over by Justice Helen Ogunwumiju last Friday. With the reinstatement of Dangote, he will take over from Mallam Ballama Manu, who has been the interim president of the council since August 5, 2010 when SEC intervened in the running of exchange. Na them sabi. All these thieves.